Throughout the year, The Neighborhood House offers various opportunities for young athletes in our community, often in collaboration with other organizations around MDI. Each fall a soccer program is offered for players in grades K-5. This includes weekday practices and games on Saturday mornings. During the winter, instructional basketball offers young players an opportunity to learn the basics of the game in a fun and reinforcing team environment. Lastly, in spring, T-Ball is offered for young sluggers as the perfect entry into the game. Each September we "kick off" another season of soccer for players in grades K-5. Weekday afternoon practices are designed to teach the basics of the game, and Saturday morning games with other Island communities give players the chance to put their new skills into action. Grades K-2 Practice: Mondays after school until 4:15pm on the MDES field. Gradesk 3-5 Practice: Fridays after school until 4:30 on the MDES field. Special thanks to our tremendous team sponsors, Coastal Computers and Island Bike Rental! Players in grades 1-5 are invited to hit the hardwood with The Neighborhood House each winter. Practices focus on skill building and are held at Mt. Desert Elementary. Weekend clinics and games are organized in conjunction with Acadian Youth Sports and MDI High School. Organizational practices begin Wednesday, December 5th. Grades 1-2 will meet from 3:15pm until 4:00pm in the Mt. Desert Elementary gymnasium, and players in grades 3-5 will meet from 3:15 until 4:15. Please send you players to school in clothes they can either play in or can change easily. Please send your players with indoor gym shoes. Each December as part of the Northeast Harbor Christmas Festival, The Neighborhood Holds the "Frosty 5K." Children are invited to take part in the pre-race "Fun Run" free of charge, or if they're up to it-- the actual 5K. Check our calendar of events, blog, and social media pages each holiday season for details and registration information. Run as an informal program, T-Ball is offered each spring and is dependent on the number of potential players, and interest level from parents to volunteer. T-Ball is for players in pre-school and younger players who do not yet meet the age requirements for Acadian Little League. To find out more, or if you would like to volunteer as a coach, please email us or call 276-5039. 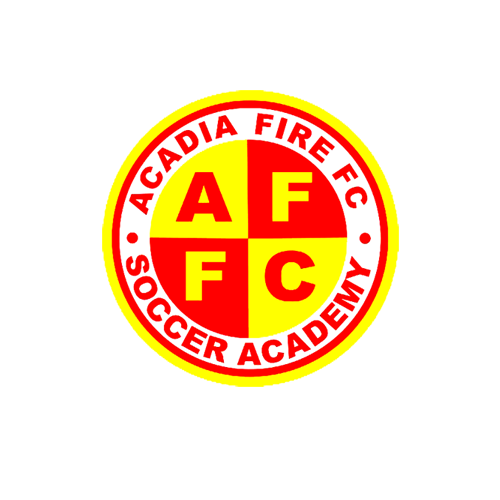 Acadia Fire FC is a non-profit 501c(3) offering soccer instruction for players-- beginners through advanced-- from around Down East Maine. Programs are offered throughout the year, including at the organizations indoor facility in Trenton. Acadian Youth Sports is an organization that provides opportunities for the youth of our local communities to explore their interests in the four sports under the AYS umbrella: Acadian Little League, Acadian Basketball Association, Acadian Football League, and Acadian Golf Association.